Money is another one of those big resolutions we make for the new year. You want more in the bank. You want to pay debts, save up. Near the end of the year I was determined to make 2017 the year of aggressive earning but I found a wonderful book (more on that later), it reminded me that focusing fiercely on money NEVER works. You focus on quality, you start with passion and care. That's the first rule of money, the second one is obvious, you MUST track your personal spending, too! It's very revealing not just for your finances but for you as a person. This year I'm sicking to the simple rules below for personal accounting. I'll confess, I am diligent with business tracking but never keep up the personal end. It'll be interesting to see the spending that goes on looking at the years going forward honestly. We spend nearly nothing but it still adds up! 2. No eating out unless it's social (a visiting friend, etc. ), I'm cooking nearly all meals at home. I'm leaving wiggle room, for instance we sometimes end up in a rush. The groceries is the easiest area to spend smart and save in. 3. Have guides for my "vision" for wardrobe/home/business buying for review before buying. Just like I shared with this post, having a vision for what you want the final result of your home, wardrobe, business, etc. to be helps curb impulse buys. 4. No new purchases unless I've thought on it for a week or longer. 5. Severely limited "for fun" shopping or thrifting. I want to have a purpose in mind when I shop to help curb impulse buys. It also helps to have a friend with me while thrifting to keep me accountable. Mostly our theme is buy less STUFF and if you do buy reaaaally be wise about it, only buy something I truly feel I will love and use for years. I want to focus on making our creations as beautiful and high quality as possible this year and traveling, and I don't mind living with less in the meantime to make those things happen. AJ and I enjoy the challenge of the tight budgeting, it's all a worthy sacrifice to make big things happen this year! Full disclosure, I do not pay myself AT ALL. I put all earnings back into the business, giving myself merely enough payout for bills and necessities. It's challenging, but honestly, I'm enjoying the perspective it's given me on minimalism and wise spending. Even when we're earning more, I'm taking the lessons learned from these start-up years with me. Do you have any particularly awesome budget tips to share? Any challenges you're doing this year? Apps perhaps? Do let me know in the comments. we are all about less stuff. in fact if I spot something around the house that hasn't been played with, used or worn in a while I sell it. Yep, that's the way to go! I'm the same way, my car is full of donations right now. Great tips! It is eyeopening to track all your day to day expenses. It makes it easier to find ways to save. I have found that living a more minimalist lifestyles feels great and helps us see what truly is important to us. It is never stuff we don't need that makes us happy. I hope you meet all your financial goals this year! Thanks! We're working hard at it. I'm always striving to take our minimalism to another level! I always have a little work clutter to squash but we keep getting better and better. Haha, same her on spending. I don't do make-up and I make all my personal care products as part of my business anyway ;) haha Last year I let myself buy some clothes from local vendors but nearly all of them fell apart in a year! This year I'm pretty jaded about buying new ones now, I'm not going to unless it's a necessity and/or something very high quality. 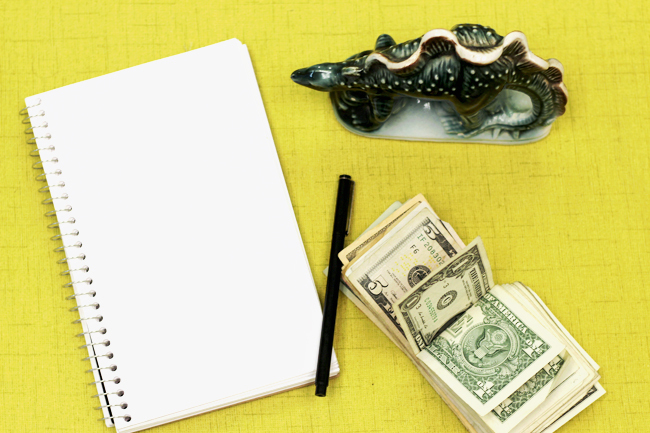 Anyone can follow these rules for the budgeting. According to best assignment writers budgeting effectively can not only give more freedom to buy the things you want now, but will help set you up for a more relaxed. I also have to set my budget rule this year. Thank you for sharing the post.